November is the month of gratitude. Not only does America celebrate Thanksgiving during November, but — most importantly — we give thanks for the service of the brave men and women of our Armed Services on Veterans Day. Whether people spend four years or decades serving, many retire from the military young enough to start a new chapter in their lives. Some veterans, referred to as “vetrepreneurs,” start businesses. November is also National Entrepreneurship Month, so it’s the perfect time to celebrate vetrepreneurs, too. 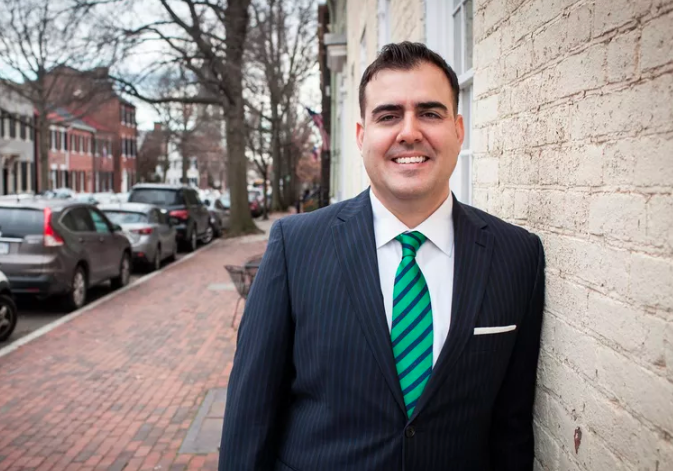 We recently spoke with Diego Echeverri of Concerned Veterans for America Foundation, who shared with us his personal vetrepreneurship experience. Between serving in the army and serving veterans with CVA Foundation, he launched a successful men’s accessory company called Bull & Moose. After serving as a legal specialist in the Army and obtaining your MBA from the University of Miami, what inspired you to start a business? When my wife and I were moving to D.C., I was looking for a job while my wife was expecting our first child. I thought working from home would be ideal for our situation. I never thought that I’d get into menswear, but my guy friends would always ask for advice on what to wear and so on, so it seemed like a natural fit. Having been in uniform for so many years, I knew how to press a uniform and take pride in how I dressed. The business started as a temporary project while I was looking for work. But within months it became very successful, to where we were featured in GQ, Fox News, Washingtonian and other media outlets. We also partnered with a British company. I ended up closing Bull & Moose four years later, as my passion in helping veterans took precedence. A startup takes a lot of time and it was impossible do two things at once, in that case. Did you find it to be a difficult transition to civilian life, or have you come across anyone who has? No. All the veterans I know and spend time with (many who are entrepreneurs themselves) have done very well. I feel that’s a broken-veteran narrative that is pushed on us, that all veterans have a difficult time transitioning to civilian life. When you look at the numbers, no one highlights that we have the lowest unemployment rate than any other group, even during the last recession, and we have the highest rate of entrepreneurship. If anything, the families of the military need all the help they can receive because, as veterans, we have a lot of benefits that are available to us, even when it comes things like the hiring process, state or government jobs, and contracting. What are the characteristics of veterans that makes them great in the workplace and as entrepreneurs? Versatility. They are always thinking on their feet, always driven with continuous momentum, which prepares people very well. As an entrepreneur, you have to continuously think on your feet with forward momentum and think of new ways to work with change. What advice do you have for others interested in starting a business? Avoid starting off with debt and taking excessive loans. Have a solid business plan and connect with other veterans or mentors with industry experience for advice and support. Our challenges as entrepreneurs are just like any other civilian with a startup. At the end, I truly believe that we have more advantages as a veteran and I encourage those who want to partner and work with veterans, to absolutely do so. Want to say, “thank you,” to veterans? One way you can do that is by signing your name on this message!